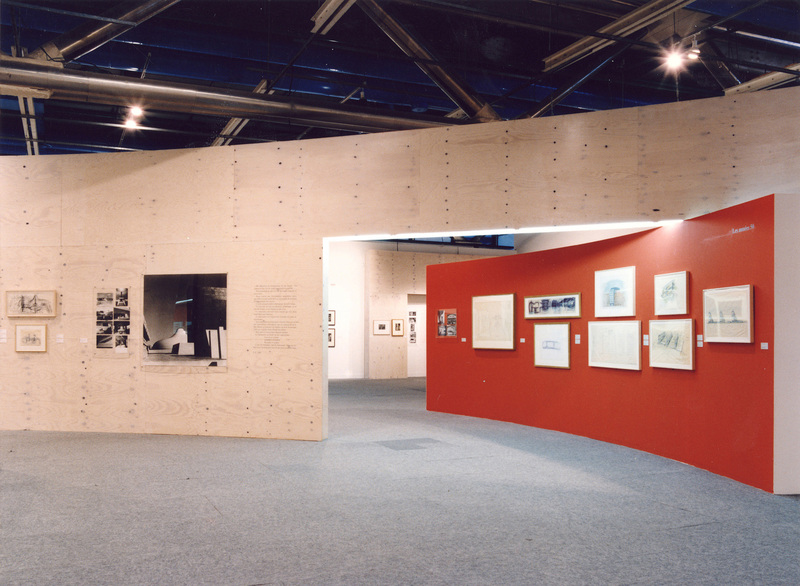 The design of the F. Kiesler exhibition consists of five 470cm high, 50cm wide „endless", curved, plywood walls. Each wall has an opening of 6m width 260cm high, semi-enclosed by another curved wall of only 260cm. 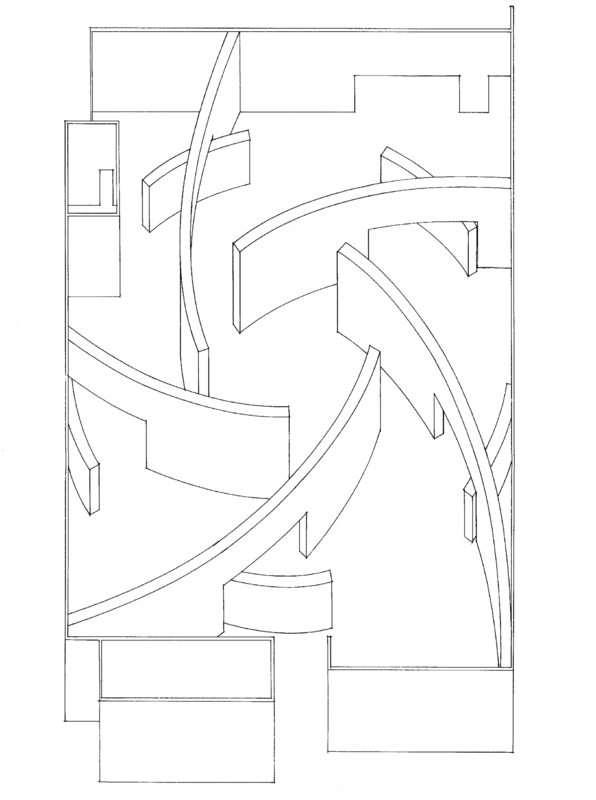 All walls are intended to expose Kiesler's work - large drawings, paintings, and sketches. A series of niches were carved within the walls to house the various objects of the exhibition. 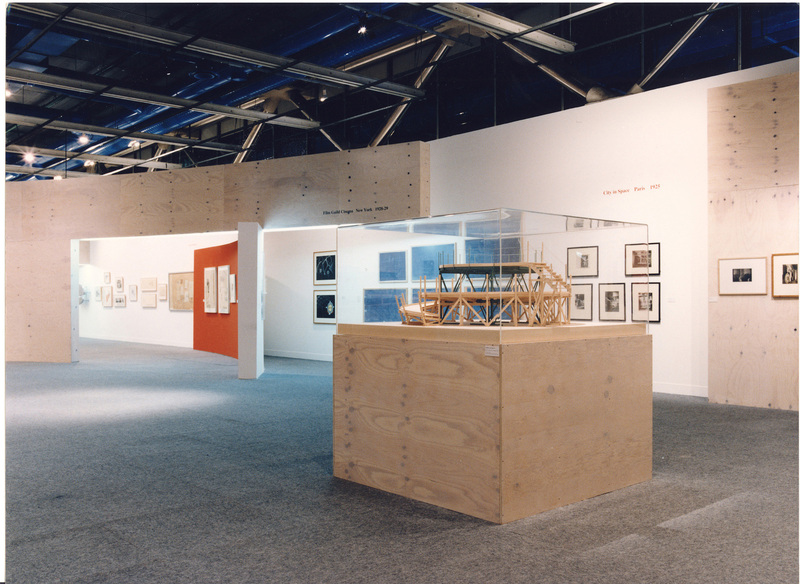 Stands for exposition purposes were built at a height of 70 cm, laid out on the square grid of the metal ceiling. 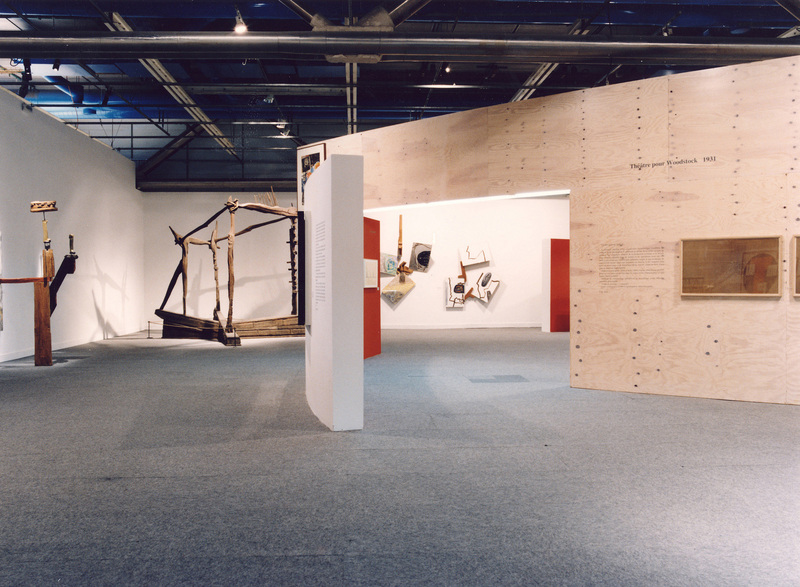 Built-in benches allow the visitors to pause and reflect at different points of the exhibition. In the area of the central void-space, monitors and screens are incorporated into the curved walls. 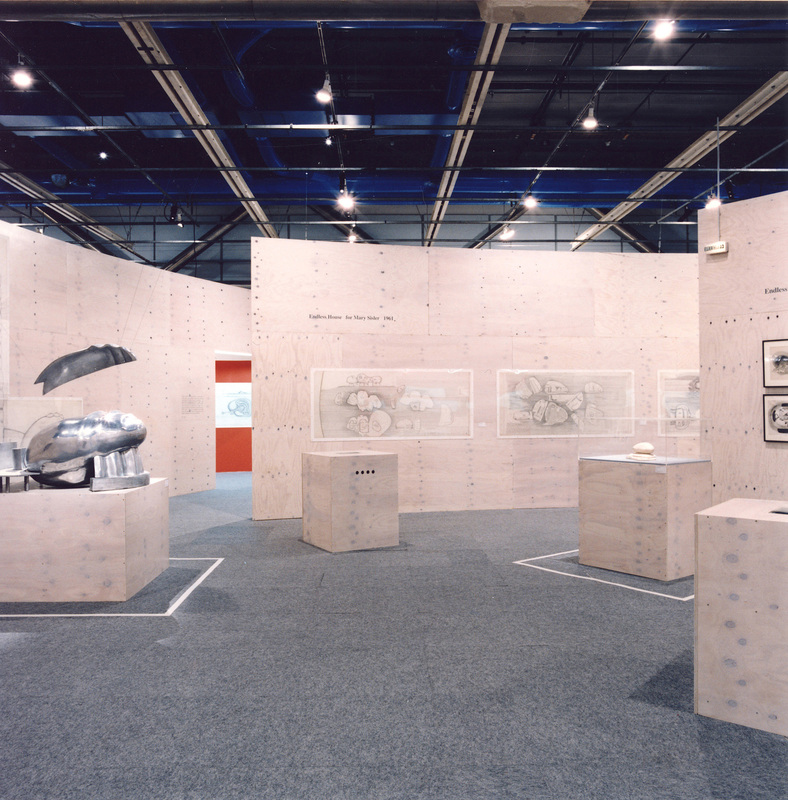 This area of electronic media continuously projects images of Kiesler's work onto the central void of the exhibition. The idea of the exhibition is based on the assumption that Kiesler's work, his creative energy and his restless spirit should be shown in a visually dynamic way. The visitor is drawn into the world of Kiesler, to experience his endless attempts to conquer new spaces and new territories. The so-called „endless" theme in the work of Kiesler is of particular importance as it explains not only his architecture, but also the open-endedness of his life-long artistic program. His well known aversion of frames is true not only for paintings. 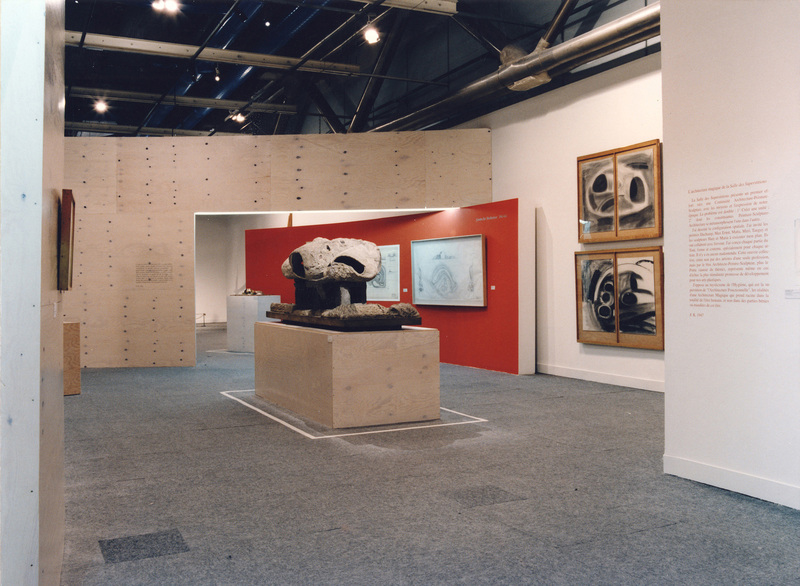 Kiesler as an artist must be therefore understood in all his complexity and variety of interests which should eventually build, in the mind of the spectator wandering through the exhibition, the total and unique image of the man. We are assembling fragments of Kiesler's life's mosaic into a total picture of his creativity. The exhibition is composed of several segments, curved like walls, which originate from one centre and could conceptually be extended endlessly. 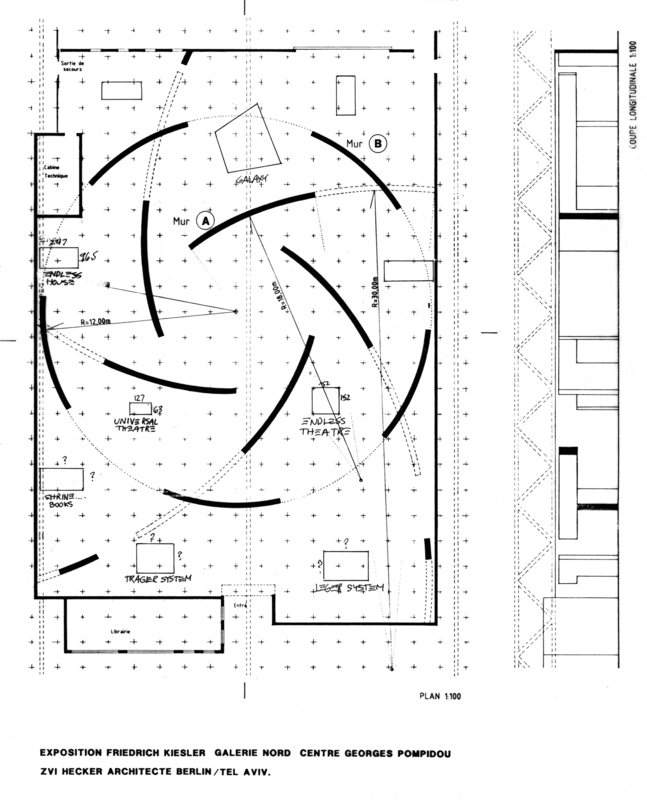 The central space is the soul of the exhibition, the heart of Kiesler's artistic personality. The wall segments speak of the diversity of the artist, which as an ensemble shows the total picture of his creations. 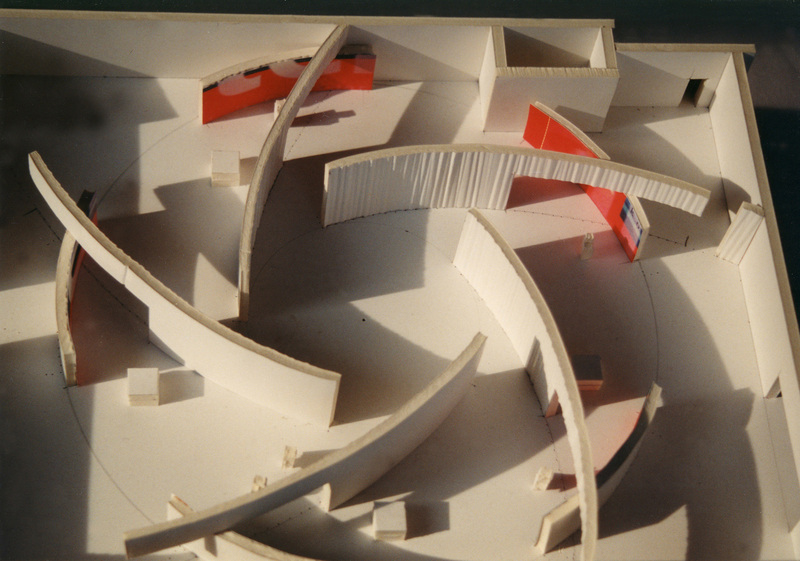 While walking through the exhibition, the spectator is drawn to the curved wall segments for appropriate information, all the while visually aware of the other walls, gradually unfolding the content of Kiesler's work. 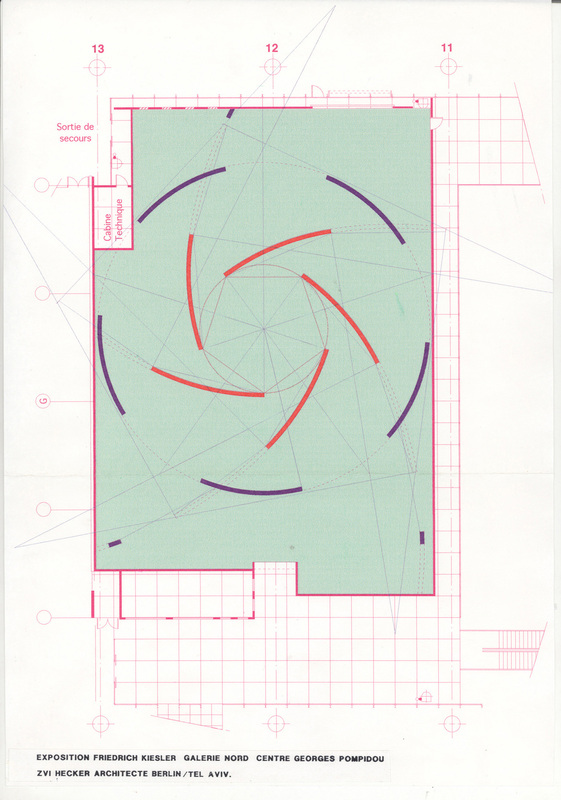 The central void formed by the meeting of the „endless" walls may be crossed at any time on the route of the visitor for reflection and pause, as they attempt to grasp the totality of Kiesler's work. 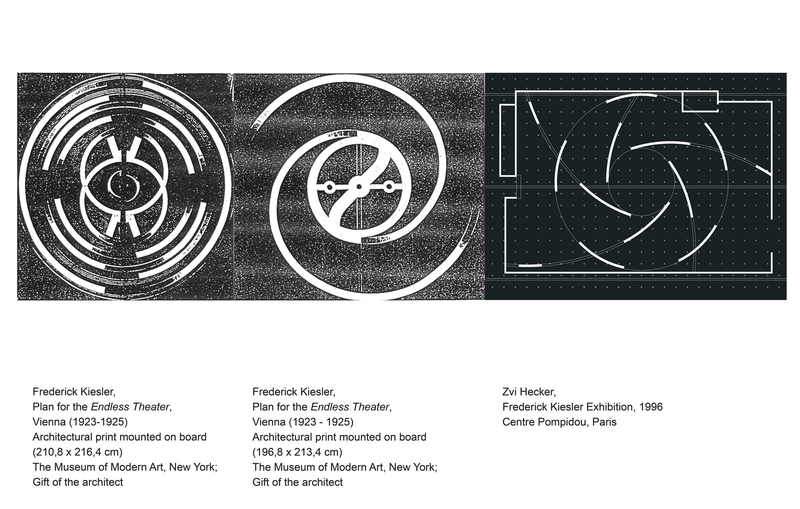 The various segments of the exhibition house various stages of Kiesler's artistic development, arranged chronologically and always culminating at the central void. The free movement and indeterminate visitors' path through this exhibition reflects the unpredictable and sometimes even inconsequential development of Kiesler's work. It should become clear to the visitor strolling through the exhibition that the varied interests of Kiesler stem from the same source, reflected in the central void. 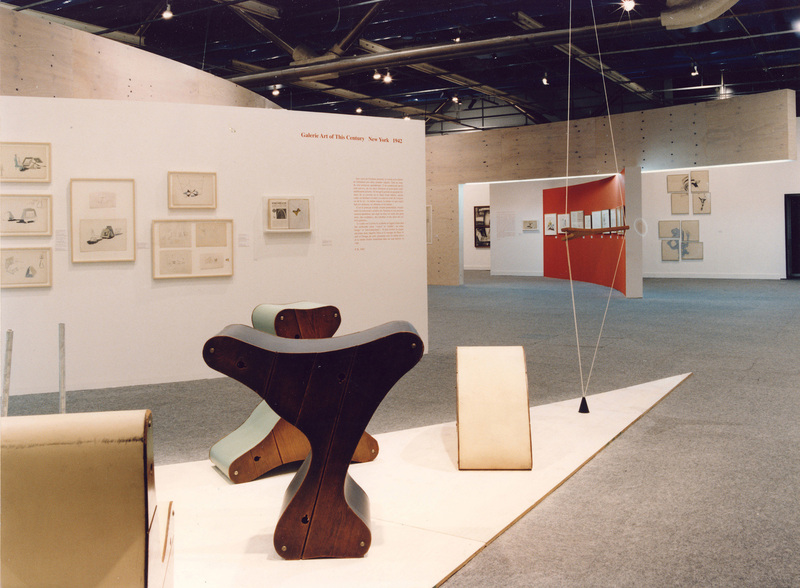 At its core, the exhibition design tries to express the multi-levelled character of Kiesler's art.